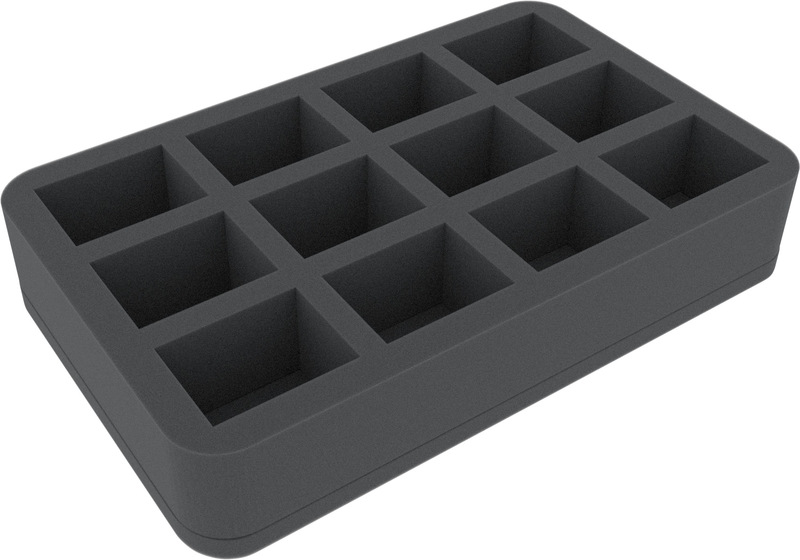 This Half-Size foam tray is divided into 12 individual compartments. It offers a safe place for up to 12 Imperial Knights of the Adeptus Titanicus. 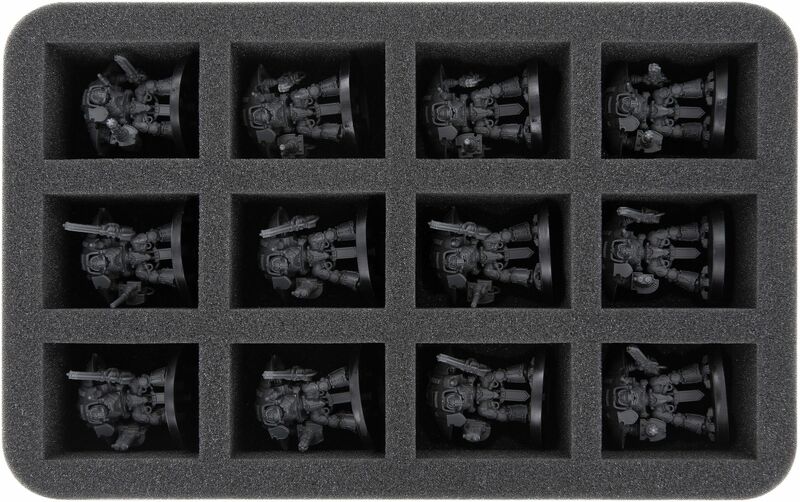 The miniatures are stored in individual compartments and the soft foam ensures that the miniatures are optimally protected from damage. The colors of painted models are preserved. 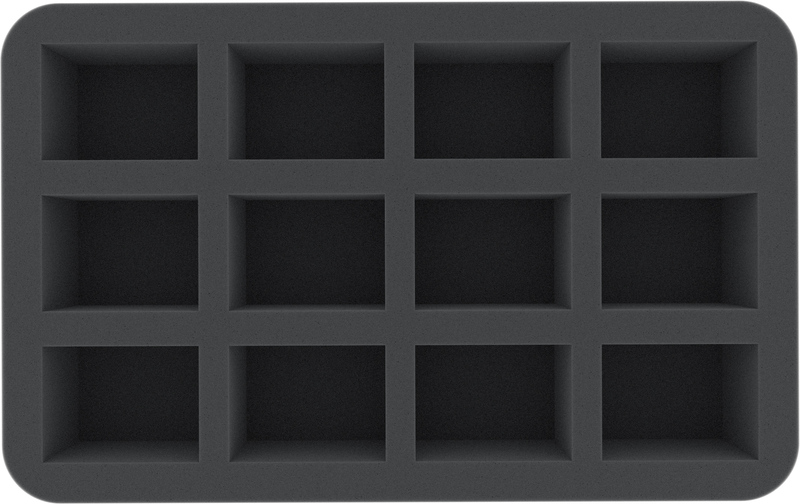 The foam tray has the dimensions: 275 mm x 172 mm x 50 mm total height (40 mm usable height + 10 mm foam base).